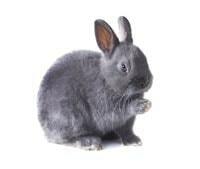 The Mini Rex is an extremely popular pet and show animal. One of the factors behind the popularity of rex rabbits as pets, is its friendly nature. The Dutch rabbit is a suitable pet for both children and adults. 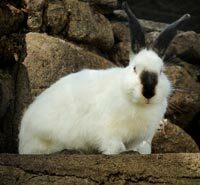 Weighing in at 4 1/2 pounds or less, the Himalayan rabbit is one of the more common domesticated rabbit breeds. This bunny is a real beauty with its soft, shiny and rich colored fur coat.